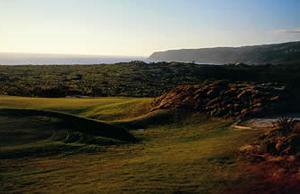 Oitavos Golf, set in Quinta da Marinha, lies within the Sintra-Cascais Natural Park. 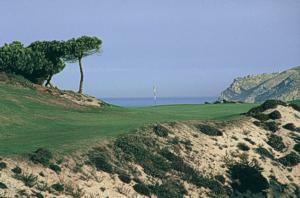 It is set among pine woods and reforested dunes, in an area of great natural beauty. Being a seaside golf course, the ocean view is present all the time, although some of the more fantastic scenery come from the Sintra mountains and Cabo da Roca the Europe's most western point in Europe, seen from the 9, 10, 11 and 14 holes. The layout has been carefully crafted by one of the greatest golf architects of our times, ex-president of the American Society of Golf Course Architects, Arthur Hills. Hills has maintained and preserved the unique caracteristics of the land, creating a 6.303 meters, par 71 golf course. The sustainability of the resources is the prior objective, and because of that the flora and fauna peculiar to the region are strictly protected, being some areas closed to people and machines. Quinta da Marinha Oitavos Golf is the 1st Golf Course in Europe and the 2nd in the World to be recognized as a Certified Signature Sanctuary - Gold. It is already set as one of the best golf courses in Europe, where a non stress round of golf can be played all year round. 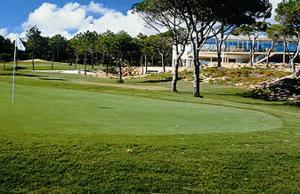 Facilities: Driving Range, 2 Putting Greens, Chipping e Bunker practice area, Pro-Shop, Club House, Restaurant, Bar.